We support your child and give them the tools they need to manage their own feelings, make relationships and develop self confidence and self awareness. 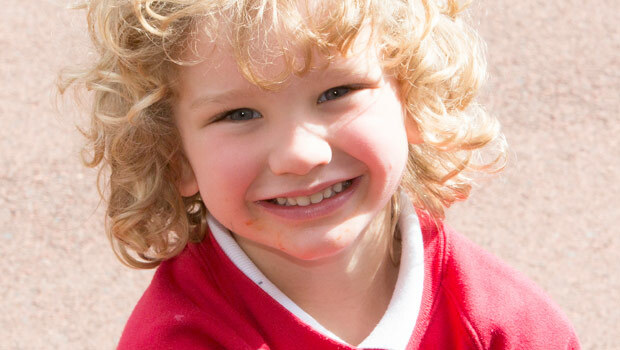 We aim to enable your child to understand their feelings and ensure that they become independent learners in a nurturing environment which helps them feel safe and secure. Your child will develop many skills such as climbing, sliding, crawling, riding a bike and being able to judge their own and others space. They will develop skills in handling tools and equipment such as pencils, clay tools, knives and forks and brushes. Your child will enter an environment which is full of print, stories, poems and rhymes. We aim to intrigue children with a wide variety of fiction and non fiction books as well as things that particularly interest your child. Children will have daily phonic sessions which may include listening to sounds in the environment, learning new sounds and blending these sounds to read words. Children are encouraged to be writers both inside and out with most areas having writing equipment attractively placed in them. We aim to encourage your child to develop their imagination to its full potential. We want them to discover their own abilities in creativity and use a variety of media in innovative ways. In creating an environment which allows them to independently explore a range of media it allows every child to express themselves in a way that is fun and exciting to them.